A month and a half into a stay at London’s Ecuadorian embassy, Julian Assange and WikiLeaks took credit this weekend for a Twitter hoax that captivated the world — and that’s exactly why a rift is emerging within the very community he helped create. MIT researcher David House, a friend of accused US Army whistleblower Bradley Manning and a witness in the federal Grand Jury convened to investigate WikiLeaks, is rethinking his support for Julian Assange following a well-received charade over the weekend that was credited to Assange’s site. 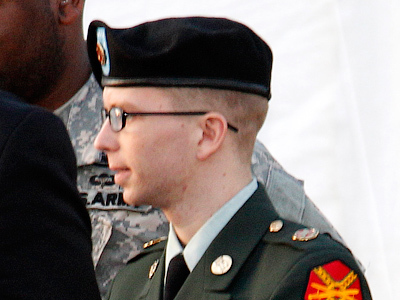 House has found himself associated with both the WikiLeaks founder and Private First Class Manning, the American soldier held for two-plus years over accusations that he provided Assange with sensitive military intelligence. House used his Twitter account to speak out against Assange’s recent behavior on Tuesday. 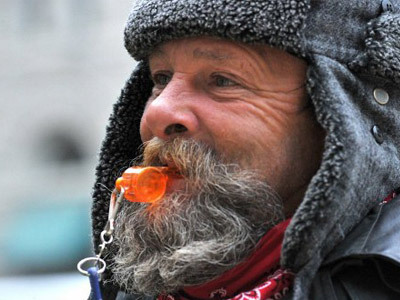 An op-ed defending the world’s most famous (and infamous) whistleblowing site was published under the name of former New York Times Executive Editor Bill Keller, and went viral this weekend. In a well-crafted parody that initially fooled much of the internet early Sunday morning, the author of the piece mimicked Keller's voice to convey support for WikiLeaks, and insist that Assange is protected by the First Amendment from the war against whistleblowing currently being waged by the Obama administration. A majority of responses seemed split between calling the column brilliantly clever and cleverly brilliant, and had even fooled the Times’ own tech writer, Nick Bilton, who initially tweeted out the link to his 100,000-plus followers and said that it was an “important piece” worth reading. Hours later, though, WikiLeaks' Twitter account acknowledged that “Assange and co.” were behind the guise. This admission from the reclusive Assange's organization has caused even his most ardent proponents to rethink their position. House was subpoenaed to testify before the secretive WikiLeaks Grand Jury last year, and said he invoked his Fifth Amendment rights to protect himself against self-incrimination while being questioned on the stand about Assange, Wikileaks and Manning and his related associates, including noted security researcher and hacker Jacob Appelbaum. Today House isn't revoking that comment after Assange's latest antics, but the Boston-based activist’s latest tweets do raise new questions about what impact the WikiLeaks' founder's actions could have on others. 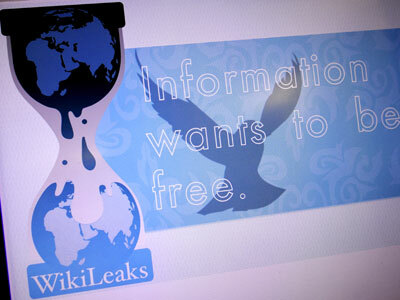 “As long as #WikiLeaks remains icon of the Open Government movement, the antics of Assange will continue to reflect negatively on us all,” House tweeted early Tuesday from his account, @VoxVictoria. Manning’s fate hangs in the balance, but unlike Assange — who is in the sixth week of his asylum in London's Ecuadorian embassy — the young serviceman is some 800 days deep in harsh pre-trial imprisonment. 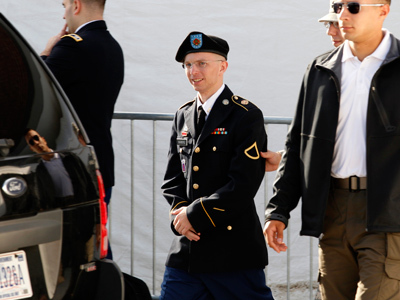 The UN, 50 British MPs and a worldwide array of civil liberties groups and grassroots activists oppos the United States’ treatment of PFC Manning, and say the solider has been subjected to conditions akin to torture. 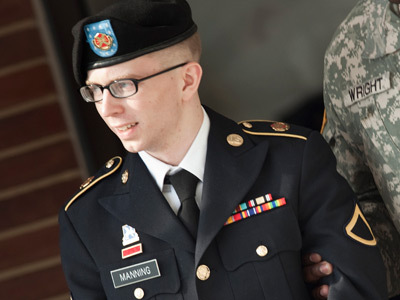 Manning's civilian attorney, David Coombs, is looking to have the nearly two-dozen charges leveled against his client dismissed, citing the Army’s abusive treatment. 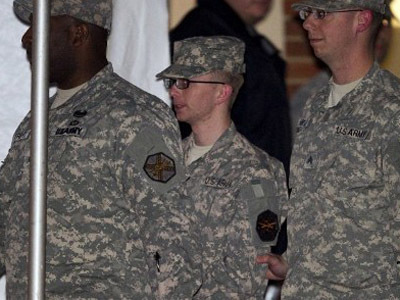 If convicted on the charge of 'aiding the enemy,' Manning will likely spend the rest of his life in jail. Coombs hopes to have this charge dropped before his client’s hearing formally starts later this year. On Tuesday evening, House declined to comment any further to RT, but others — including Jacob Applebaum — were too quick to chime in on the internet. Although few were ready to rush to defend Assange, House’s change in attitude, from Wikileaks' premiere supporter to an ardent opponent of its founder, sparked a heated debate. Applebaum, the computer expert who represented Wikileaks during the HOPE 2010 conference, unleashed a volley of tweets from his @ioerror account Tuesday night that questioned House's motives. Applebaum fell short of siding with Assange, but he tweeted about his opposition to the comments made earlier that morning by the man's one-time supporter. “Why do I think David House is a [confidential informant], a snitch or worse?” Applebaum wrote. He continued from there with several messages questioning House’s relationship with Manning, and other allegations of his being a government mole. A barrage of tweets, retweets and commentary followed. Jesselyn Radack, the former Justice Department ethics adviser-turned-whistleblower retweeted allegations from Applebaum that House is a snitch, adding that it could be likely that the government needed to “flip” someone in addition to Adrian Lamo, the one-time hacker who claimed to have helped turn Manning over to the police after the soldier allegedly confessed to the leaks in a online chat. Thomas Drake, the ex-National Security Agency staffer who was charged under the Espionage Act for leaks, retweeted Applebaum’s message as well. 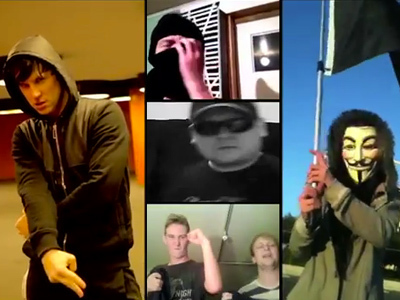 A new outlet for leaked material, Par:anoia, was created in recent weeks by figures pledging alliance to the loose-knit Anonymous activist collective, who say they want to allow activists to share information without the “ego” associated with WikiLeaks. When names are applied, though, some of the identities linked most strongly to WikiLeaks — among the site’s supporters and the federal government alike — are now at odds over a critique aimed at Assange that has since spawned a rift among whistleblowers. Doesn’t the situation within America ask for just the opposite though? At this moment, legislation is being brought before lawmakers in Capitol Hill that could keep government sources from ever speaking again to the media in certain instances. Forty years after the Washington Post broke the Watergate scandal, the American government has not embraced newfound transparency but, despite President Barack Obama’s claims to the contrary, are now fighting to eliminate what’s left of First Amendment rights. Senators and congressmen alike are asking for legislation to crack down on whistleblowers, and alleged leaks out of the White House have become central talking points in recent weeks among both the incumbent and his likely challenger, former Massachusetts Governor Mitt Romney. 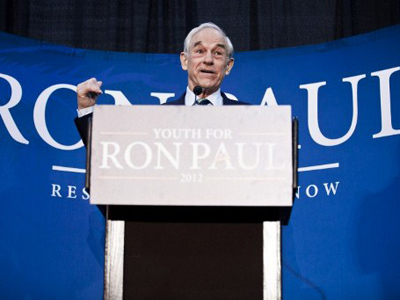 Nearly four months after Rep. Paul made those remarks in San Antonio, Texas, though, a war against whistleblowers has escalated uncontrollably and now those on the forefront of the defensive end are at odds with one another. “It’s about getting the information out there, not who gets it out there,” a separate source close to the Par:anoia project says in an Internet chat on the topic. And while that very well might be the case, those once considered core figures in WikiLeaks are at odds over the future of the site. House was back at HOPE this year, and manned the booth for the support network established under the name of his friend, PFC Manning. In-between three days of lectures aimed at dissecting the privacy and surveillance concerns that are being called into questions every single day, House managed to help bring in more than $7,000 for the Bradley Manning Support Network.